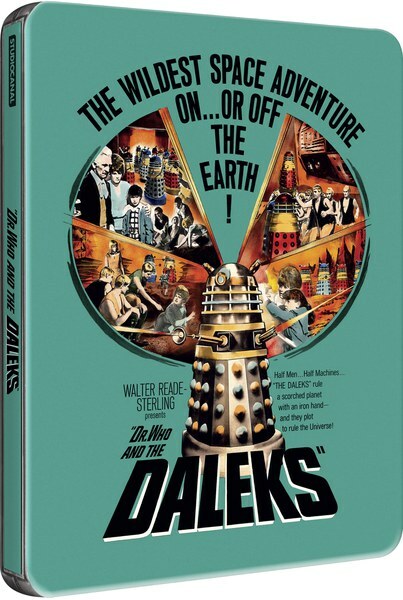 Note: Previously released on video, this is the first of the two big-screen Doctor Who movies from the mid-60s starring Peter Cushing — the second was Daleks: Invasion Earth 2150 A.D.. This movie is also available as part of the Dalek movie box set. 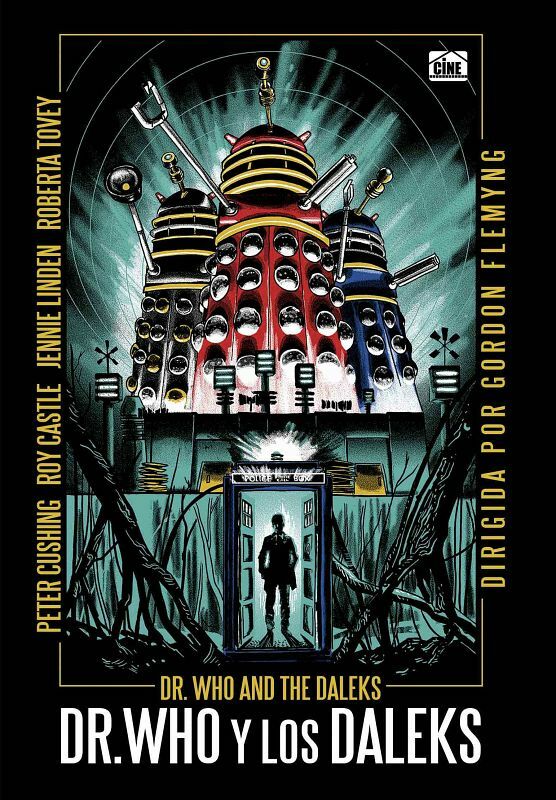 The legendary Peter Cushing stars in this fantastic film adaptation of the beloved BBC-TV serial that captured the imagination of the world! Eccentric scientific genius Dr. Who activates the T.A.R.D.I.S., a remarkable time machine disguised as an ordinary police callbox. But when the Doctor, his granddaughters and their friend Ian are transported to the mysterious planet Skaro, they discover a race of innocent humanoids under siege by the evil robot-like Daleks. Can the Doctor protect this peaceful society from destruction as well as save the entire universe from a diabolical invasion of the future? Note: Region 0 DVD. Choice of Spanish dubbed audio, original English audio or Spanish subtitles. No extras. Note: Limited edition steelbook (2,000 copies), exclusive to UK online retailer Zavvi — although reseller copies have since started appearing on Amazon. Directed by Gordon Flemyng and now fully restored, Dr. Who & The Daleks (1965) was the first big screen film adaptation of British TV's most iconic sci-fi hero, and was the first time Doctor Who was ever seen in colour! 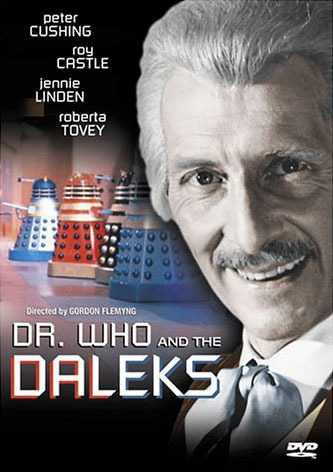 British film legend Peter Cushing plays everyone's favourite Timelord [sic], and having invented the TARDIS, a strange machine capable of travelling into other dimensions, the Doctor and his three young accomplices set forth on a quest through time and space. 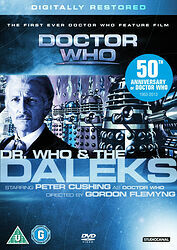 Their journey takes them into the dark, undiscovered depths of the universe and to the planet of Skaro. A primitive world devastated by nuclear war and populated by two warring species, a peaceful tribe known as Thals and a life form heavily mutated by radiation, encased in protective machines. 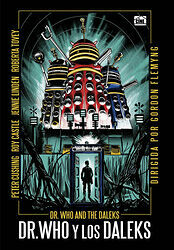 A merciless force of destruction known as The Daleks!